You have to admit though “Jesus and the Stoned Homos.” would make a great rock band name. 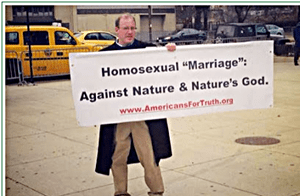 No, it isn’t hateful at all when Manning calls homosexuality a sin worse than murder. I did love however when he admitted that the failed Arizona law was to target homosexuals when all the Arizona politicians swore that’s not what it was meant to do. Busted.